If you've read my blog before, you'll know that I have rather an expensive taste, one hardly feasible for a 20 year old uni student. Given this, my dream luxury shoe closet, sky high with louboutin pigalles, saint laurent pumps and gucci loafers in every garish print has always had to remain just that, a dream, one in which I indulge far too often, and sincerely hope can one day become a reality. 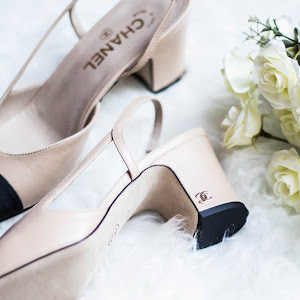 Having said all this, when I saw these chanel slingbacks debut on the A/W 15 runway I knew I had to find some way of owning them, for they had captured my heart. 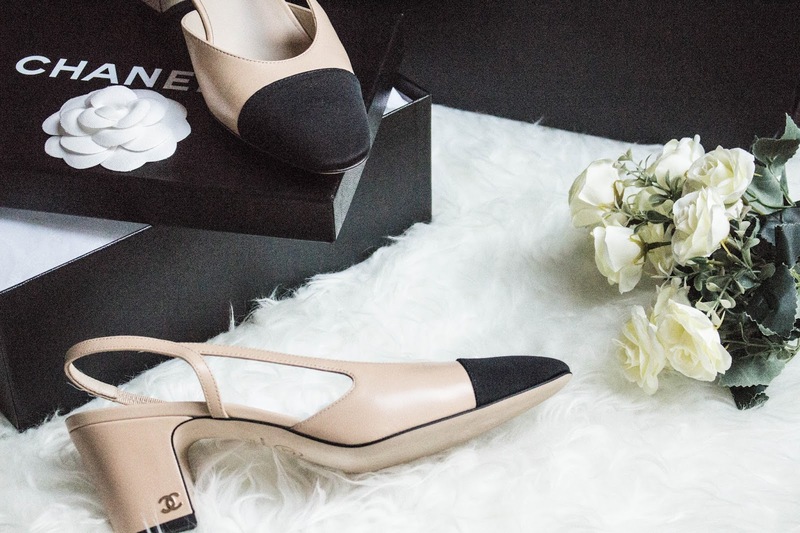 The beautiful contrasting beige and black leather, the oh-so-elegant yet practical mid-heel, and of course, the little silver double C logo that, obviously, makes them worth that triple figure price tag. I knew straight away that these were going to be a hit. And alas, here we are a year later, and who hasn't noticed their presence? 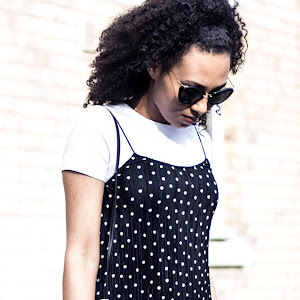 We've seen them on every top blogger; they've been awash over social media - pinterest, instagram, you name it; and we've seen countless highstreet dupes. I contemplated nabbing a dupe, just in case these remained a passing phase, but somehow, they just didn't cut it for me. I wasn't prepared to settle for anything less than the real thing. I ended up having a little chat with my Dad about them, him being the only one to understand my love of luxury given his own penchant for expensive things, and him being the darling that he is, suggested that since I'd had a tough year, we'd split the cost and I could get them as my birthday gift which was the following month. Needless to say I was giddy with excitement, that I would get my hands on this much coveted shoe. The only problem? They were nigh impossible to get ahold of. I suppose part of the allure was this very fact. The slingbacks were ever elusive; never on display in chanel boutique displays in the classic colour scheme; my questions of stock availability were constantly being shot down with 'Sorry Madam, these are completely sold out' or 'I apologise madam, we do not have beige, but we have grey tweed?'. There was even talk of lengthy waiting lists, that I can only imagine were filled with fashion savvy women desperate to get ahold of the shoes of the moment. They were like gold dust. I was able to persuade the lovely SA to put them on hold for me until the next day, allowing me to travel down to London to purchase. Needless to say, as soon as I tried them on, it could only be described as love at first sight. I was sold. Sold to the girl in the hole-y jeans and dirty old vans! Now we have my story time over, let me tell you all the important info you need! Comfort: Definitely a comfortable shoe. They took me a couple of wears to wear them in, but now they've stretched a little they are super comfortable. They're a sensible heel height so they are easy to wear if you're doing a bit of walking. Price and Availability: £510 in May 2016 from The New Bond Street Flagship Store, London. Yep, ouch. Wincing as I write this, I kid you not. Wincing even more at the fact that there was a price increase (from £430) literally a month before I purchased these. But c'est la vie, I guess! Chanel do not sell online, these are only available in store, and as we know, they are a bugger to track down. My advice: frequently call your local boutiques, or even better, go to a local boutique and befriend an SA who can call you when they have the shoes in stock. They now have a variety of different seasonal colour options; black on black, grey tweed and black, burgundy and black, so if you are after something a little more unusual, you're bound to find something! 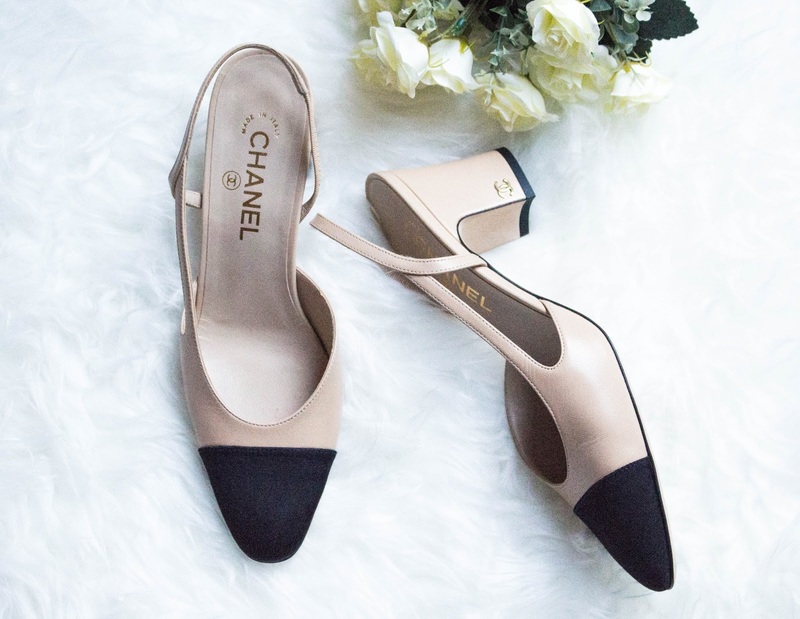 Value for money: In my opinion, these are a very pricey shoe, but, in terms of Chanel, they are probably more of an average in their price range. If you are considering this shoe, I would also say it's never worth waiting to buy, as chanel frequently raises its prices. If, like me, you are a die-hard Chanel or Karl fan, then you really can't go wrong - these are a must have in any collection. Quality: Beautifully crafted. And I should think so too for the price! But really, the leather is beautifully soft, the double C is dainty and elegant, and they look beautiful on the foot, you couldn't ask for much more, really. Sizing: Size 39 - I usually wear a 39 or 40. I tried the 40 and it was absolutely huge. I would say if you have a wide foot, perhaps size up as these are pretty narrow in the toe box area. If you have a narrow foot like me, then either take your usual size, or size down. I was also assured by the SAs that these will stretch with wear (i have already found this after a couple of wears), so maybe factor this into your decision, as you do not want the slingback to constantly slide down your foot. Also the fact that they are an open back shoe means you have a little more leeway. How I Style: the Slingbacks are a little notorious for their 'old lady' quality, and are perhaps the leading light of the revival of the 'grandma shoe', but that is a feature I personally love. Despite this, I find them incredibly versatile. 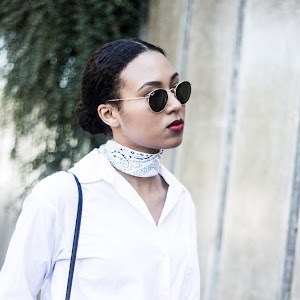 My favourite way to style them is with an oversized white boyfriend shirt and straight leg jeans to create a youthful, nonchalant, parisian look, and feel all 'fashhhun' (lol). Equally, style them with floaty summer dresses for the last of heat, or with pant suits for smart, yet comfy office outfits. 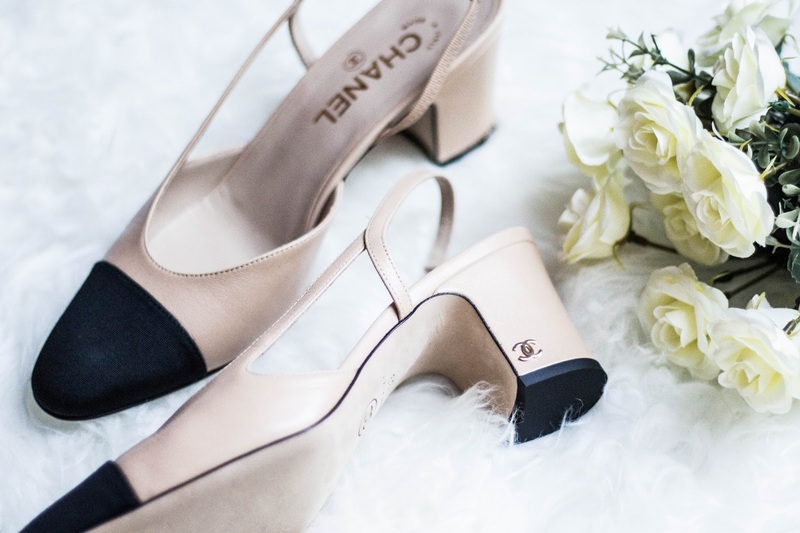 Chanel herself referred to the original two-tone shoes as "the height of elegance", and they are that indeed, you'll have endless options with these beauties! Why I Love Them: Simply because they are classic. Chanel pieces are so often stooped in brand heritage, and these are no exception. Coco Chanel famously introduced the original two-tone shoes in 1957. If you're partial to a little fun fact - Did you know that the beige was designed to lengthen the leg and the black toe cap to shorten the foot? As always, Lagerfeld did not disappoint by creating something very true to the original with his reincarnation. They are just so very Chanel. I knew, for my first pair of designer shoes, I wanted something special, and boy, did Karl create something special indeed. You may wonder whether these are just the stuff of fast fashion, but time has proved them a good investment, we have seen them season after season - I know these will always be a staple in my collection. 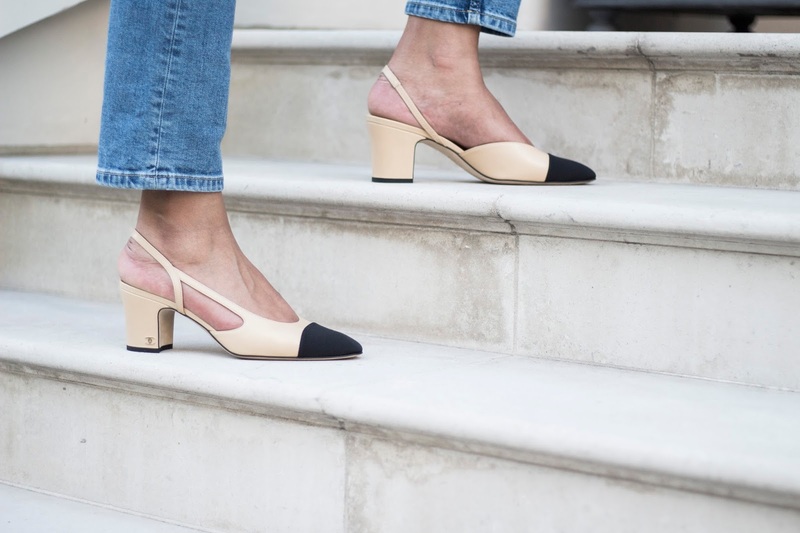 Ladies, the slingbacks are here to stay. So I thus conclude my full review! I know it was lengthy (ok, very lengthy) but I know that as someone who really likes to have all the information when making an investment purchase, I would have appreciated a comprehensive review like this when I was looking to purchase. So, I hope you enjoyed this post! 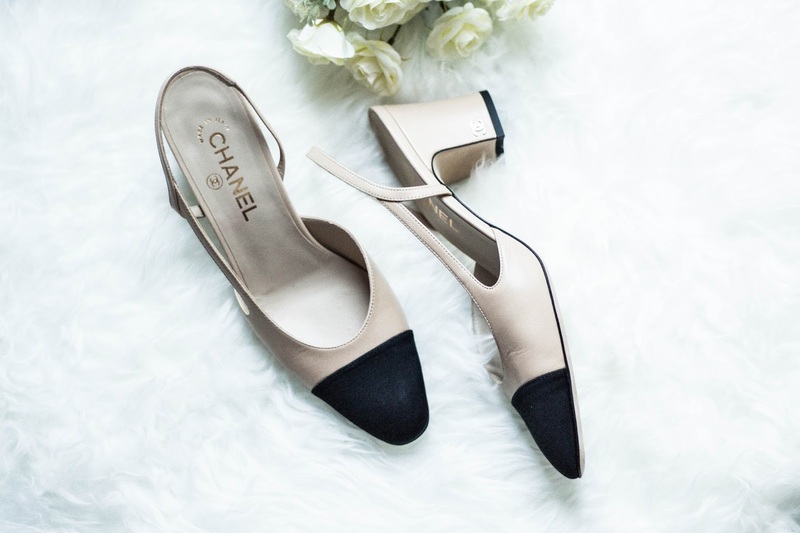 Do you like the chanel slingbacks? Would you invest? Or have you found an excellent dupe somewhere? 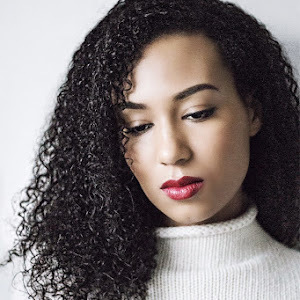 (I've left some of my favourite dupes below!) Leave me your comments. I plan to make these luxury reveals (particularly of shoes) a fairly regular thing (maybe every couple of months), so if you like that kind of thing, stay tuned!